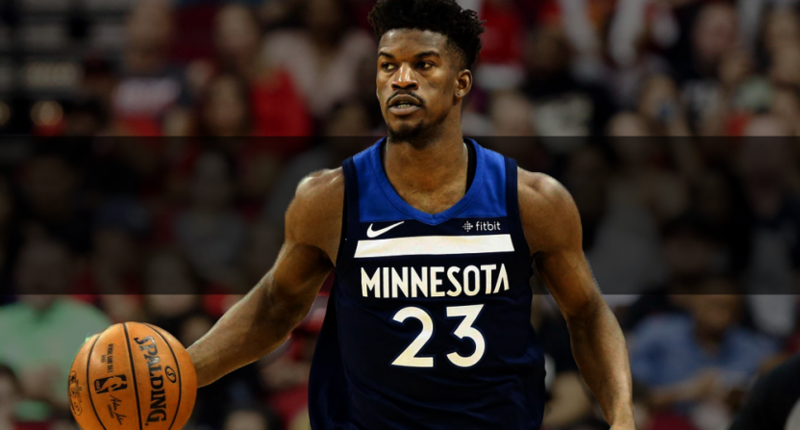 The Jimmy Butler trade saga is over in Minnesota. On Saturday afternoon, The Athletic and Stadium’s Shams Charania reported the Timberwolves have dealt Butler to the Philadelphia 76ers in exchange for forwards Robert Covington, Dario Saric, guard Jerryd Bayless, and a 2022 second round draft pick. Adrian Wojnarowski of ESPN.com adds Philadelphia will also acquire center Justin Patton. Woj reports Butler fully expects to reach a long-term deal with Philly this summer. All-in-all, Minnesota gets an OK return for a player whose trade value was diminishing with each passing day. Butler is an all-world talent and one of the NBA’s best 20 players when healthy. However, the 29-year-old clashed with young stars, coaches, and management, and demanded a trade when he didn’t see eye to eye with anyone. Coach Tom Thibodeau wanted Butler to stay, but owner Glen Taylor rightfully wanted to move on from the toxic drama. Acquiring Butler gives the 76ers another star piece. Butler has averaged at least 20 points, four rebounds, and four assists every season since 2015-16 and established himself as one of the league’s premier defenders. Alongside Joel Embiid and Ben Simmons, Philadelphia’s defense is going to be switchable, versatile, and uber-athletic. The 76ers allow the fifth most points in the East with 111.9 points per game. Butler will make an immediate impact on both sides of the ball. It remains how Butler will mesh with Simmons and Markelle Fultz being the primary playmakers, however. Philadelphia smartly cashed in on their unparalleled tanking under former GM Sam Hinkie. Losing Saric and Covington hurts, but adding Butler gives Philadelphia a big three that should challenge for the top of the Eastern Conference. It’s a win-now move. Meanwhile, the Timberwolves make out with two legitimate rotation pieces. Saric, drafted 12th overall in 2014, hasn’t had a great year in Philly becoming the odd man out among star lottery picks. In 13 games, the 24-year-old is averaging 11.1 points, 6.6 rebounds and 2.0 assists, while shooting a putrid 30 percent from three and 36 percent from the field, all down from last season’s production. Still, there is lots to love about Saric’s game. He’s a versatile big who can pass, shoot from distance, and play multiple positions. Saric just needs to be consistent. Perhaps, change will do him well. Covington is essentially Jimmy Butler lite. An All-NBA defender, the 27-year-old is a perfect 3 and D guy. He shoots well, plays tenacious defense, and doesn’t make a whole lot of mistakes on the court. He should fit well in Thibodeau’s system. Getting two wings will help the Timberwolves battle for a late seed in the West. Minnesota was in utter turmoil with Butler on the roster with none of the team’s young stars – Andrew Wiggins and Karl Anthony-Towns – looking at all happy playing alongside him. It’s not an addition by subtraction as Butler’s really damn good. However, Saric and Covington add needed depth, are signed beyond this year, and can make an immediate impact now and in the future. Selling low hurts, however. Still, it’s going to be straight-up fascinating to see how Minnesota responds without Butler. The T-Wolves reportedly turned down a bunch of first-round picks from Houston in order to find a deal for the team’s competitive hopes this year. If it doesn’t work out, Thibs won’t last very long behind the bench. It’s weird to see such a big trade this early and say both teams made the deal with winning in mind, but it’s the correct take. The 76ers are looking to make the step from good to great while the T-Wolves are looking to reign in the chaotic season and adding supporting pieces. Philadelphia walks away with the better haul as Butler is without question the best player in the deal, but Minnesota could have done much worse here.